The upcoming hearing at the Senate Commerce Committee may be the launch pad for this strategy of undoing stronger state laws. To be clear, we would look closely at a sensible federal legislation that offers meaningful protections for data privacy. Uniform laws offer predictability, making life easier for smaller companies, nonprofits and others that may struggle to meet the rules of different states. But a uniform law is only a good alternative if it’s actually a good law—not a weak placeholder designed only to block something stronger. California’s recently passed consumer privacy legislation has some valuable protections as well as room for improvement, but even this modest set of privacy protections is apparently too much for some big tech companies and the ISPs. 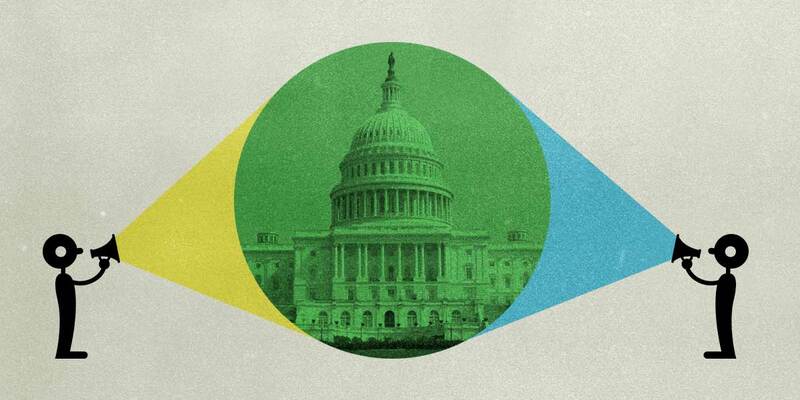 If Congress passes the industry’s wish list, it won’t just kill the California privacy law. It will also preempt Illinois’ biometric privacy law, which landed Facebook in a class action lawsuit for allegedly collecting facial data without permission. And there’s more: Such a federal law would also block strong state data breach notification laws that forced companies like Equifax to tell us when they compromised the data of 145.5 million Americans. The upcoming one-sided congressional hearing will not yield valuable insights to the Senate Commerce Committee, but rather give the industry a lengthy amount of time to repeat talking points that reinforce their lobbyists’ arguments in hopes of persuading Congress to once again vote against our privacy rights. The state legislators in California and Illinois who passed these laws did what they were supposed to do: protect the privacy of their residents. The absence of these state laws would mean that big companies face fewer consequences for compromising our personal information. There’s a reason states are taking action: They are filling a void. What did this Congress do when Facebook’s Cambridge Analytica scandal broke, besides hold a hearing? What did it do when Equifax failed to protect the personal data of 145 million Americans, causing lasting damage to their financial security, besides hold a hearing? Absolutely nothing. Despite overwhelming public support for privacy—a resounding 89 percent of Americans support privacy being a legal right and 91 percent believe we have lost control over our privacy—this legislature has taken little real action. In fact, when this Congress has taken action on privacy hazards, whether from the government or from corporations, it has pro-actively stripped us of our privacy protections. When companies like AT&T, Verizon, and Comcast wanted to get away from strong federal broadband privacy regulations, Congress took the dramatic step of repealing those privacy protections. When the NSA requested an expansion of its warrantless surveillance program, Congress readily agreed. Given this track record, Internet users should wonder whether the upcoming Senate Commerce hearing is just a prelude to yet another rollback of privacy protections. If so, policymakers can expect to hear the voices they excluded loud and clear in opposition.